KUMASI: OUR NEW MAYOR MEANS BUSINESS! A perennial subject of this blog is local governance and the issue usually is the proliferation of signs in this once beautiful city and the charging for signboards to locate your business on your property saying that its advertising. Yes, how Kumasi has been uglified (no such word but what the hell) by signboards, banners etc since the early 70’s when I first came here. Today Kumasi has become ‘THE SIGN CITY OF WEST AFRICA’, no longer ‘THE GARDEN CITY OF WEST AFRICA’. And yes, one signboard in front of your business attracts a yearly advertising fee-that increases dramatically each year. Well, our new mayor is starting to take action against illegal signboards. Yeah! 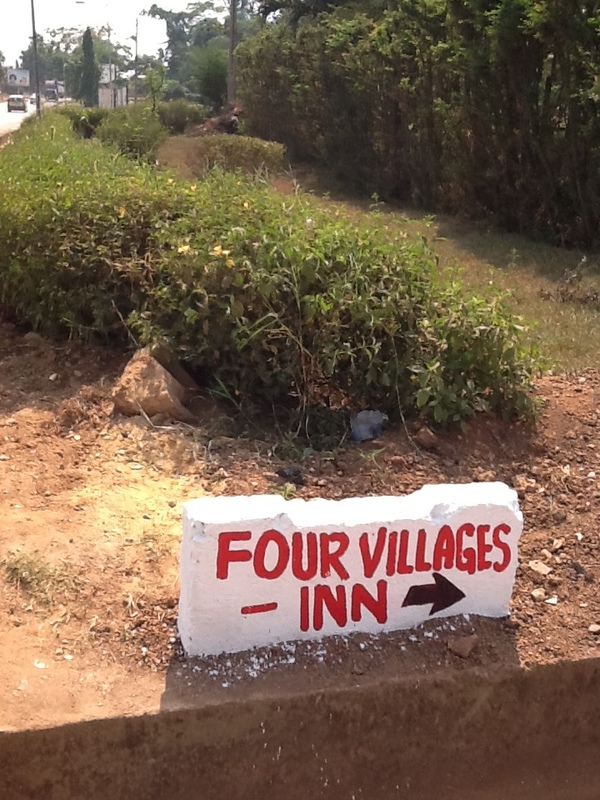 Not the Four Villages Inn sign in front of Four Villages Inn though. We took down it down and replaced it with a slab of concrete! ← HAPPY EARTH DAY 2013, BUT NOT IN GHANA OH! Who’s he? A magician I hope! THANKS IAN…how Ghanaians shine, shine, shine when they are outta here! Five months after not knowing who he was, he’s now your banner celebrity on SCRAP! Perhaps he is the magician you were hoping for….. And he really does look like the Mayor of Kumasi, doesn’t he? I knew it wouldn’t take you long to make a crack! 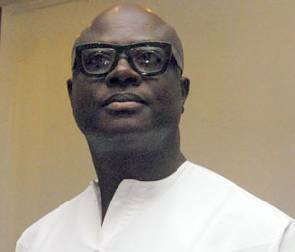 got my finers crossed because we are getting nowhere fast…ya, he sure does look a lot like Mayor of Kumasi Kojo Bonsu of huge billboard fame!